Neil HaydockIt’s fair to say that Watergate Bay Hotel’s Executive Chef Neil Haydock has always been obsessed with food. Growing up in rural Lancashire, his grandfather taught him a love of traditional countryside foods, from game to foraged wild ingredients, and his decision to become a chef was made very early. Throughout his career, Neil has retained this passion for local, seasonal foods; he has always sought small-scale local artisan producers to give his menus a real sense of place. 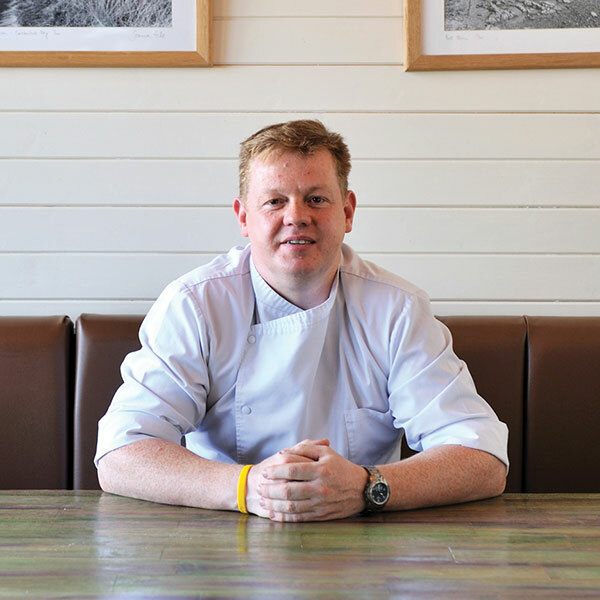 Neil’s experience includes senior roles at a number of highly regarded restaurants, including the Sandy Lane Hotel in Barbados, Terence Conran’s Bluebird in London and most recently, as Executive Chef at Fifteen Cornwall. Now controlling The hotel’s Brasserie, The Living Space, The Beach Hut and the newest addition to the hotel, Zacary’s restaurant, Neil is building on Watergate Bay’s reputation as an outstanding food destination, creating diverse, contemporary menus that showcase the very best of Cornwall’s produce while taking inspiration from around the world.